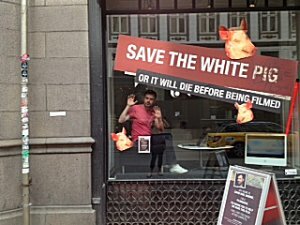 Your upcoming film White Pig - in a few words, what's it going to be about? 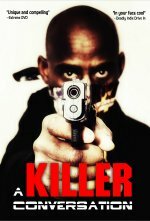 A series of grisly murders shakes a whole country. 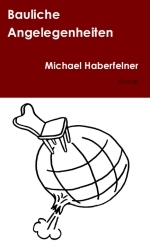 It is told through the eyes of both the bad guy, Jens, who is the murderer and the good guy or more good girl, Mia, who is the police officer and the story really is about how they both end up crossing each other and ultimately how they alter each other's fate. 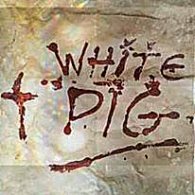 What were your inspirations when writing White Pig, and is any of this based on your personal experiences? Ever since seeing Psycho when I was very young I wanted to make a movie like this. The social context came much later. I guess being both half Irish and half Danish I have some experiences over the years and it's a strange ambiguous state of mind but one that I accept, both are my spiritual home and many feel that way too in Denmark and indeed other countries. But home has a different meaning to different people when you ask them. Is it a sense of belonging, a sense of mind, where you pay taxes, where you are born? - there are many definitions and this can lead to conflicts and prejudices on where someone should "belong". You have developed your screenplay with your producer Tine Mosegaard - so what can you tell us about her, and what was your collaboration like? It's great. She is a very creative producer, she can reel me in when needed, encourage me and has great ideas, very open. We always have a good laugh and enjoy working together. What do you think makes your movie especially relevant for today's society? I don't know. I wake up most days and in the news the front pages are about discrimination, murder or corruption. So the movie reflects these themes somewhat and puts them into crime fiction format but it takes the genre and twists it a little. Sometimes I even have to ask myself what is to attraction to crime fiction like this, then I go to the bookshop and see stacks and stacks of crime novels on the shelves, so many folk like crime thriller stories, they are insanely popular, I think we feel more alive reading or watching about such things - we get to experience something so far away from our normal daily lives but in a safe way. How would you describe the intended look and feel of your movie? It's rather fast paced, lots of style. It's a retro kinda vibe both in visuals and also in music and score. It will be entertaining and a kind of a throwback. 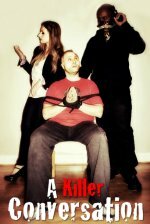 Serialkiller movies often suggest quite a bit of violence - so how far do you intend to go concerning that aspect of your movie, and is there a line you refuse to cross? The violence in itself it not that interesting for me in this story. It's the why that is interesting and the aftermath. I guess in any crime thriller there is some violence but and is there a line I refuse to cross? Yes, there is plenty. It's all about what works for the story and the audience. It's early days. On our IndieGoGo page - http://www.indiegogo.com/projects/white-pig-a-new-feature-film - you can see some actors involved. But there will be more casting sessions. 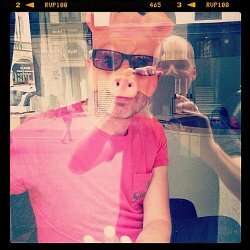 As far as I know, you have decided to take the crowdfunding approach for White Pig. What made you go this route, and what can you tell us about your fundraising efforts? The traditional route was a slow, long and a painful process. I needed to keep the script edgy with no folk trying to water it down. So there was nothing to lose by trying to crowd-source to get things moving. If anything we would get awareness and exposure for the film, some money to shoot it and all is good whether the IndieGoGo deadline is met or not! So why not, we thought? Although it's very hard work, it's really a 24 hour job and a balance of trying to make your project visible to others and asking if they want to be part of it, it's all very tricky stuff. Once your funds are raised, how do you plan to proceed, and any idea when the film might be released onto the general public yet (even if it might be waaay too early to ask)? We shoot in October 2013. Hope to be available for screening in April 2014. I had a meeting with the CPH:PIX director and he is game, so we will shoot for that. Any future projects beyond White Pig? 100% focus on this. Although I have written plenty of other scripts, they'll wait.